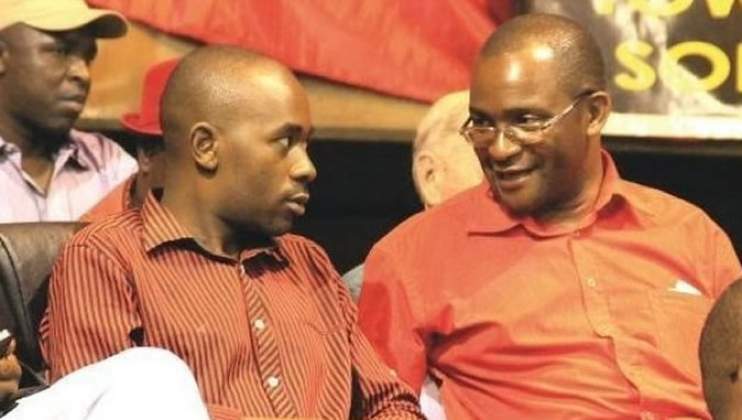 ZANU PF has been accused of trying to fan divisions within the main opposition MDC-T camp led by Nelson Chamisa by pushing his secretary-general Douglas Mwonzora to takeover party leadership. MDC-T secretary-general Douglas MwonzoraSpeaking at a Press conference on Tuesday, Zimbabwe National Liberation War Veterans' Association (ZNLWVA) secretary-general and Zanu PF central committee member Victor Matemadanda said it was time for Mwonzora to take over from Chamisa and also push out Tendai Biti, accusing them of fanning violence. "Those who voted for Mwonzora for post of secretary-general ahead of Chamisa should now stand up and throw Chamisa to the dust bin. MDC is now losing its values because of Chamisa. He is just like his mentor, (former Zanu PF strongman Robert) Mugabe, a dictator," he said. Mwonzora distanced himself from the declarations and expressed shock over Zanu PF and war veterans' interest in the leadership of the MDC-T.
"I listened with shock to the war vets presser on MDC leadership. They don't hold my brief. MDC leaders are never chosen by war vets. This is an unnecessary distraction. We are concentrating on the major national battle in the Constitutional Court," Mwonzora said. MDC-T youth assembly secretary for security James Chidhakwa said this was a tactic by Zanu PF to try and sow divisions in the party, especially given a possibility of a run-off of the presidential election. "It is their game to always try and weaken our party using money and creating factions. They want our president to shift focus on our secretary-general instead of the real governance issues affecting the country. We are not going to be side-tracked," he said. Chidhakwa said the youth assembly was firmly behind Chamisa ahead of the 2019 party congress to elect a president for the party. "He made Zimbabwe dream again. He ran a race which nobody believed he would have a chance. He showed the nation what young people can do, given a chance. He won this election and was robbed and someone wants us to change leadership, why?" Chidhakwa asked rhetorically.